Brexit chief David Davis made reference to Holland and Czechoslovakia as EU countries as he boasted of his team’s European knowledge. It happened as Davis, who is leading the UK’s exit from Brussels, was speaking to MPs in London about the progress of negotiations. Asked what would happen if a deal with the EU was left until the last minute, he suggested Britain would be in a strong position because its diplomats knew what each member state wanted from the final agreement. “We’ve got a pretty good idea of what the economic interests are of every single member state. “They are not focussing on [the negotiations] all the time. “Germany, Austria, Holland and Czechoslovakia are all without governments at the moment so this is not top of their tree. It came as Davis also admitted British MPs may not get to vote on the final deal with Brussels until after the UK has left the bloc – although this was later denied by Prime Minister Theresa May. May is seeking a so-called implementation period of around two years following Britain’s departure from the EU in March 2019, during which its access to the EU single market would stay largely unchanged while new arrangements are put in place. Businesses are anxious to see the details of such a deal as soon as possible to end uncertainty over the trading rules they will face after Britain leaves the bloc. 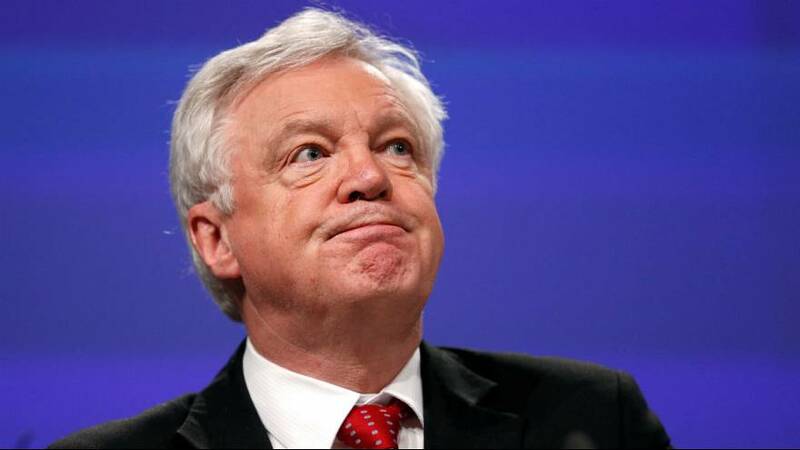 “I would be aiming to get certainly the outlines of it agreed, if we could, in the first quarter (of 2018) … but it’s a negotiation,” Davis told the UK parliament’s Exiting the European Union Committee.